Please click here to view the AUGUST – 2012 Newsletter Housing Trends eNewsletter. San Diego has seen it’s share of short sales since 2007. If you purchased your home between 2001 and 2008 you are most likely upside down in your mortgage. The Mortgage Debt Relief Act of 2007 has provided an opportunity for many to get out from under the house debt which far exceeds the market value. WWW.DREAMHOMESMATCHMAKER.COM has helped many homeowners get out of sticky situations through a short sale. This is not recommended to everyone, and you should consult a tax attorney/accountant to review your specific situation. For more information about the Mortgage Forgiveness Debt Relief Act of 2007, visit http://www.irs.gov. A good resource is IRS Publication 4681, Canceled Debts, Foreclosures, Repossessions and Abandonments. HOW DOES A BUYER FIND THEIR DREAM HOME? Del Mar can call itself Green! They are the proud home of California’s highest LEED rated house. Del Mar Restoration owned by Laura Parker renovated Parker’s own home without setting out for the #1 designation. She has just commenced a new project, a horse farm rennovation in Rancho Santa Fe. Once complete, it will hold the title of the 1st and only LEED certified property in the Ranch. There are pictures of the Del Mar project available online at www.greendelmarhome.com Parker has obviously raised the bar on ‘Going Green’, and given great attention to the possibility of becoming LEED certified with new construction. Lots of new home builders in San Diego have offered opportunities to ‘green’ your home with solar panel upgrade packages, etc. The Community of Del Sur has made a point to being environmentally conscious in their development. Their community Center, the Ranch House, is also LEED certified. Though they have not come close to reaching the new benchmark set by Parker. Hats off to you Laura! The opportunities to go green don’t require a full conversion/rennovation/remodel, or new construction. You can start anywhere and build upon those measures to reduce your carbon footprint. There are “Green Homes” available for sale throughout San Diego who have take advantage of using reclaimed materials and increased energy efficiency. San Diego 2nd Home — Part of Your IRA? San Diego Second Homes: Legitimate IRA Investments? Investors are still shaking off the memory of watching what happened to their IRA stock portfolios during the nightmarish global financial crisis. Even the groggy recovery that’s been under way ever since has featured the kind of stomach-churning drops that drive investors to the Pepto-Bismol. So it’s not surprising that some have been searching for alternative assets that could grow tax-free within their retirement accounts. And lately I’ve been hearing from more clients who are asking about the possibilities in real estate, including San Diego second homes and even vacant acreage. You read that right: real estate is a little-publicized yet entirely legal vehicle for IRAs! Right now, when prices are at bargain-basement levels, investing for the long run in what many see as the most ‘real’ of all holdings certainly is an opportunity worth looking into. Nevertheless, there are some big cautions. First off, let me emphasize that my area of expertise is real estate — not financial advice. 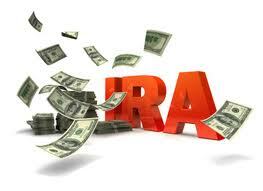 Anyone who is serious about placing real estate in their IRA will absolutely need expert financial and tax advice. Yet, if what you read below makes sense, you should call me about rental property opportunities in San Diego. They will explain that traditional IRAs can not include real estate; only ‘self-directed’ IRAs are eligible (although they are fairly easy to open or steer existing IRA assets into). Despite the fact that some extra freedom is granted such accounts, when you ‘self-direct’ an IRA, you are subject to some very firm prohibitions. In the case of a real estate investment, just one of those is that you can’t use the investment (for instance, if you purchased one of our San Diego second homes) for your own benefit until you retire. In other words, your pretty little cabin by the lake can be rented out, but you or your family can’t spend the weekend there. You also can’t hire yourself (or a company you own) to manage it. And if brother Fred wants to vacation in it (even if he would pay rent for the privilege), you have to tell him no. The general idea is the same as with any IRA: you or family members cannot benefit from account assets until you retire. That makes perfect sense, because the funds used in it have been contributed tax-free, and any gains are appreciating tax-free. Still, if you can secure a non-recourse loan, that might allow you to effectively double your investment dollars. The penalties for not following the rules make that not worth even thinking about. That means that most everyone will probably want to use an administrator or custodial firm with real estate experience. But for those who find second homes or other income-producing San Diego properties, the prospect of building a tax-free revenue stream within a self-directed IRA is certainly intriguing. It could mean the Pepto-Bismol stays on the medicine shelf. I hope you will think of me whenever you decide to discuss the current prospects for any San Diego real estate investment. I’m standing by!